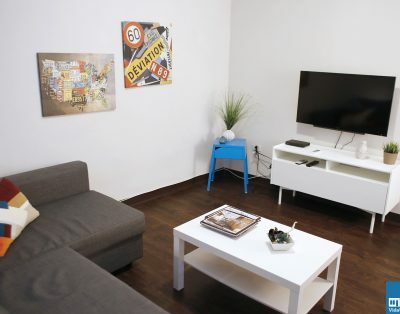 The apartment is a 1st floor walk up on Calle del Sol, very close to the historic attraction Fort San Cristobal and the famous Old San Juan Ocean Walk connecting the two Fortresses of the old city and extending all the way to Escambron Beach, the cities closed Blue Flag Beach. The living area opens up to Calle del Sol and the kitchen, bath and bedroom are located in the interior of the historic Condo. The kitchen is remodeled and equipped, the bath is remodeled and the bedroom offers a queen bed and plenty of closet space for 2 guests. Cable TV and Wi-Fi are included.